I’ll admit, this was the first episode of Survivor in perhaps three seasons I didn’t watch live or stream online the same night. I had work, my girlfriend came over, and in general, I was just wanting to chill. When one of my friends at work who knows my love of Survivor (although she does not share it) asked if I’d watched last night’s episode, I thought she was joking. She mentioned there was some controversy about someone being transgendered on the show, and at first, I thought she must have been mistaken. Well, it turned out she was not. While my initial reaction while watching was about as uncomfortable and disgusted as one could be, part of why this post is a little later than I normally like to get them to the good Jeff Pitman by is because I wanted to formulate what I had to say. After all, trans rights and lives are a legitimate issue today, and while I adore Survivor, I feel vastly more comfortable ranting about that than an issue that impacts so many in day-to-day life. Before I continue, I think it important to situate myself with respect to trans issues. I am a biracial (though very much white-passing), cis-gendered male. As such, while I do what I can to be an ally for members of the trans community whom I know, I by no means wish to come off that I speak for them or any such thing. In fact, that is the very last thing anyone, barring Zeke, should do. Are reactions and opinions natural? Of course they are. But, and this might not be what a lot of people like to hear, most of our opinions on the situation don’t matter very much. Unless you are truly a part of a community, it is difficult to comment on said community or how said community should feel without coming off as condescending in some regard. For instance, while I by no means think Sarah meant anything by having her monologue about how Zeke’s outing made her feel, that moment was not about her. It wasn’t about Ozzy or Tai or Andrea or Debbie or even Varner. It was about Zeke. Do the others on his tribe have emotions? Sure. But talking about what Zeke’s outing meant to Sarah…? While that might be a knee jerk reaction, that only added to my discomfort. As for Jeff Varner, he proved on so many levels why he’s not good at the game. Putting aside the blatant lapse in logic that says not sharing every detail about one’s personal life makes one capable of being deceptive, Varner’s physical game was laughable at many points this season, and he tried to save himself by throwing someone who fought for him under the bus. 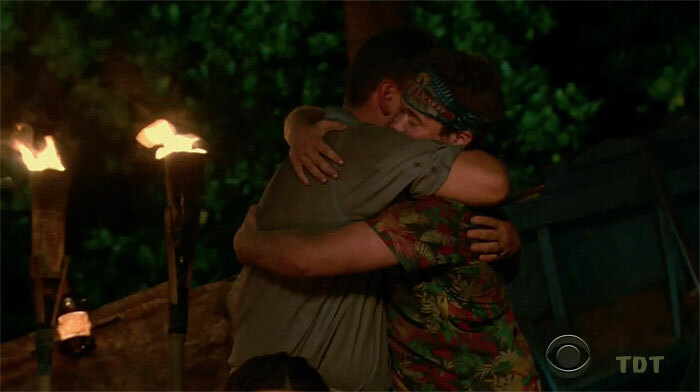 In theory, I respect going into a Tribal swinging with nothing to lose, but let this Tribal be a lesson for any who play—there’s always something more to lose than a game of Survivor. While I’m sure Varner did not mean to cause Zeke real pain, his intent versus the impact he wrought were radically different. That is a lesson we can all learn, players or not—intent is important, but impact is what so often matters. One final thought on this matter…Zeke. Wow. What a truly wonderful person. If that man ever walks into my bar, I’m buying him a f***ing round for just being him. He could have so easily told Varner to shove it and go to Hell, but he didn’t. He took something so terrible in stride and came out smiling. That, dearest readers, is a strong person. If Zeke can forgive, why shouldn’t we? Okay. Like I promised, this one was going to be short. It just feels weird to talk about story to me when this week was so about real life and not Survivor. I was planning on doing a power ranking/story recap post the Merge episode anyway and not before, so this strangely works out, I guess. The only story-esque thing I’ll mention… Culpepper is forming an army. He, Troy, Aubry, Sierra, and Cirie seem to be a good five, and tack on Sarah’s connection with Troy and Tai’s with Brad… well that, friends, is your majority for the episode. 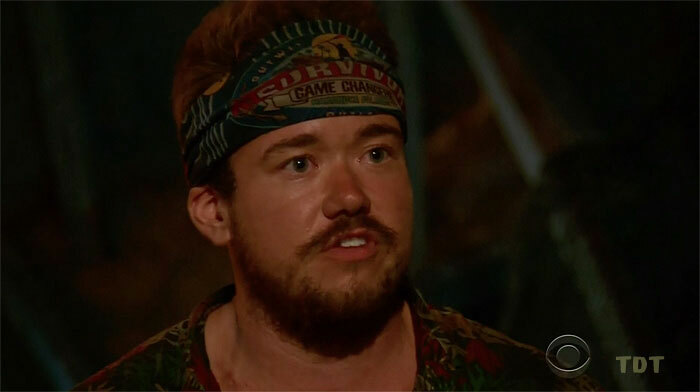 Ozzy, Zeke, Andrea, Hali, Michaela, and Debbie, one of you will be voted out and will (likely) become the first member of our Jury—and while he may still have it all these years later, I think Ozzy is juror number one.